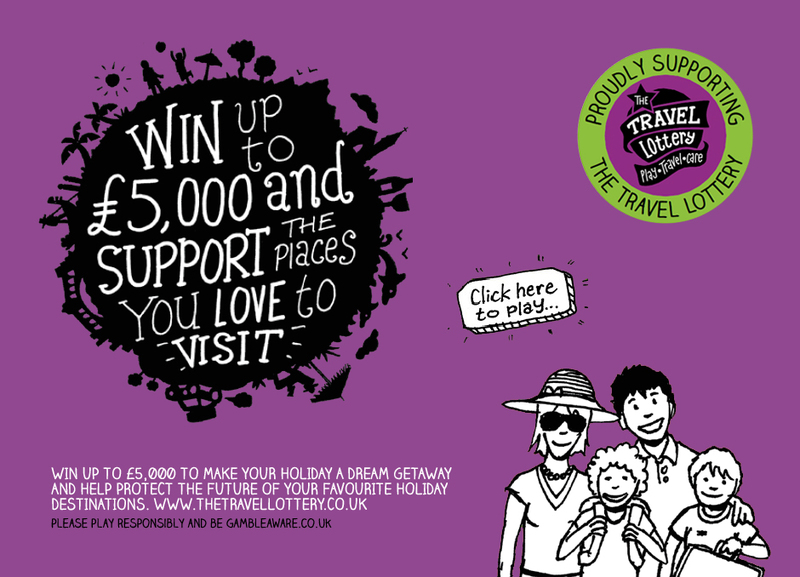 WIN THE COST OF YOUR HOLIDAY AND SUPPORT THE PLACES YOU VISIT WITH THE TRAVEL LOTTERY! We've teamed up with the good people at the Travel Foundation who have recently launched the Travel Lottery in a bid to help protect the future of the places we love to visit. Each ticket costs only £2 and you could win up to £5,000 in the monthy draw towards the cost of your holiday. If you've just booked a car with Rhino, or even if you haven't (you can still enter) for an extra £2 you could cover the cost of your entire trip and even if you're not the lucky one, the money raised will go to good causes all around the world. For more information on how the money is spent, visit the Travel Foundation website, you might be suprised to see some of the projects underway in popular holiday destinations all designed to promote sustainable tourism and keep the places we love, loveable. To play, simple click the image above or follow this link.